Columbus Patio Restoration Service Will Renew Your Hardscape to its Former Glory! You know it is time to contact us when even your family pet is embarrassed by your patio. 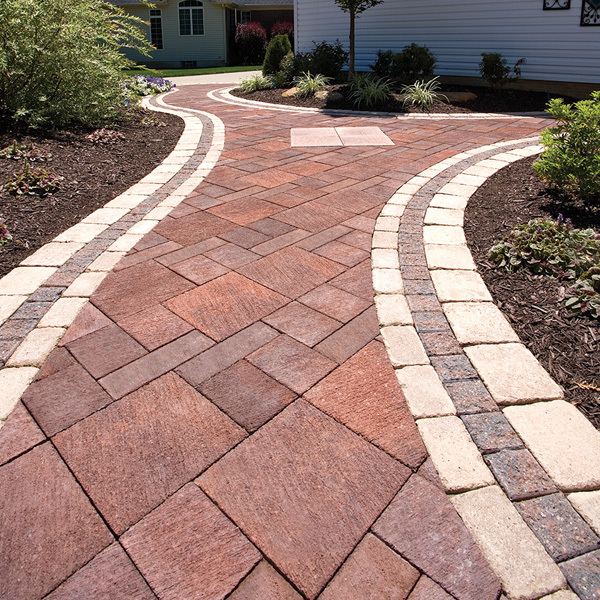 Do you have an existing patio or hardscape outdoor living space that was once the gem of your landscape and backyard? Has your hardscape began to appear dingy or faded? 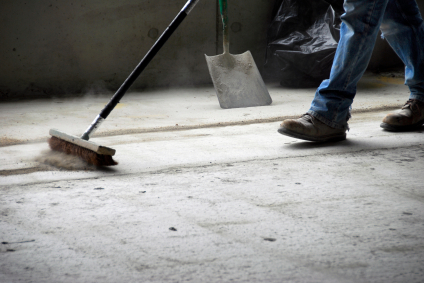 Have weeds, moss and grasses began to sprout out of your once pristine grout lines? 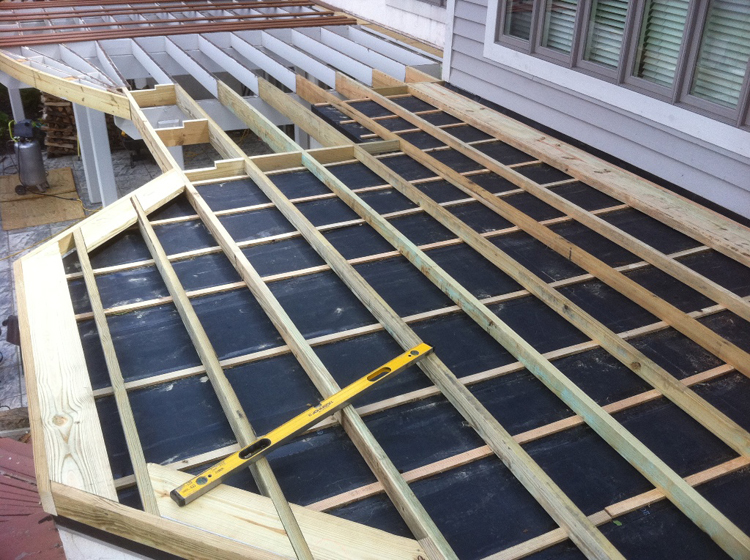 At Archadeck of Columbus, we realize the toll Father Time and Mother Nature can take on your patio or hardscape. This is why we now offer a professional patio and hardscape restoration service. With this service we can renew the beauty of your patio or hardscape like shining a diamond in the rough! 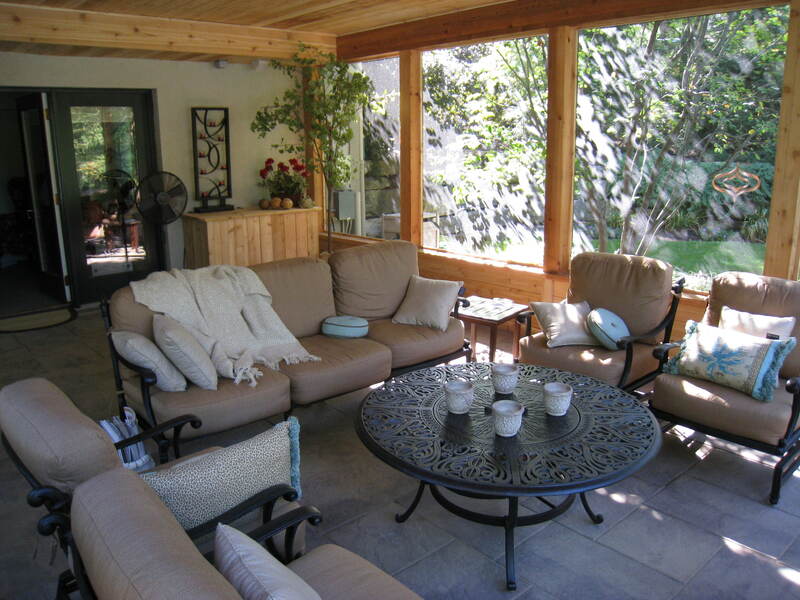 Patios and hardscapes ARE indeed considered low maintenance structures. They require very little attention on the part of the homeowner aside from just maintaining them with common sense practices to ensure their aesthetics; i.e.keeping leaves blown off the patio, cleaning up mud where the dog tracked it from the yard on a rainy day, etc. However, in order to keep your patio and/or hardscape looking and performing its best, professionals recommend intensive maintenance/patio restoration services and resealing every 2 -3 years. If you wait longer than 2-3 years, you may notice the color fade slightly and organic matter such as mold, mildew and even moss will begin to grow on the hardscape itself. But just like waxing a car to restore and maintain your paint’s finish, restoring your hardscape will ensure the color and texture will be as vibrant as the day it was installed. 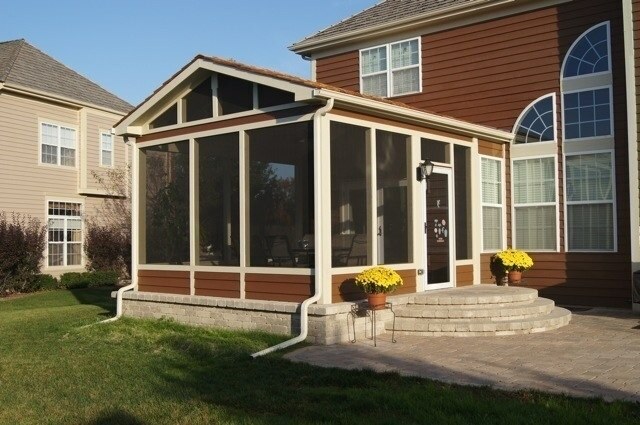 For over 15 years, Archadeck of Columbus has been designing and building custom outdoor living spaces including patio and hardscapes to the Columbus, OH, region. We deliver the service and community commitment of a local, family owned business backed by the strength of a company that’s built 100,000 incredible outdoor structures since 1980. 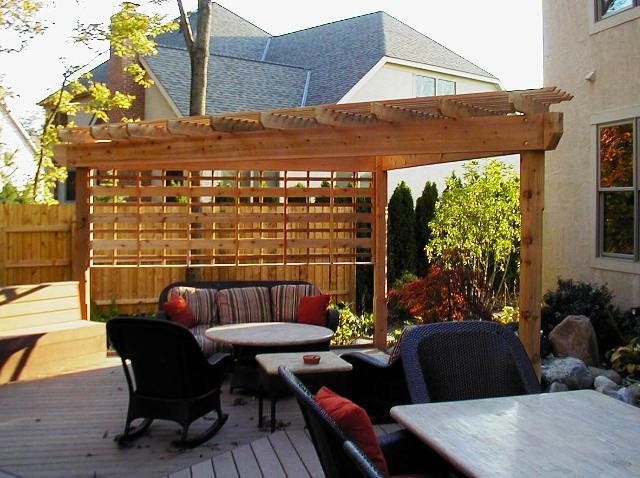 Outdoor living structures is all we do, and we do it best. It only makes sense to trust your patio or hardscape installation and maintenance to the pros! 1) Remove existing weeds & moss. 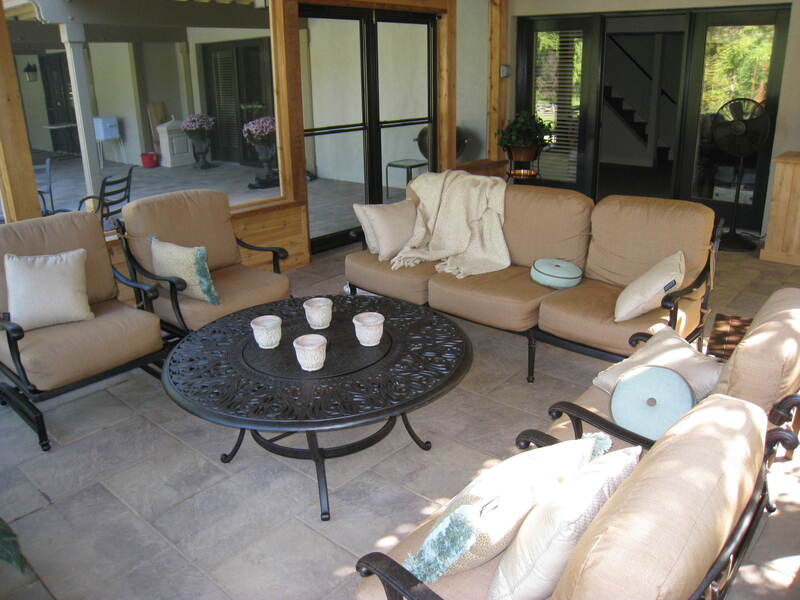 2) Professionally clean patio stones/pavers with a non-damaging pressure washer or cleaner. 3) Reapply new polymeric sand into all joints. 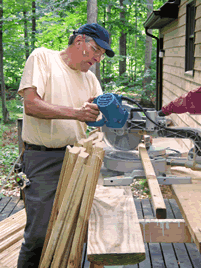 4) Sweep sand into joints with a broom for a cohesive finish. 5) Run vibrating plate compactor over entire area to ensure all joints are filled. 7) Reseal with a matte or gloss-finish sealer. 8) In essence, this service makes your patio new all over again! 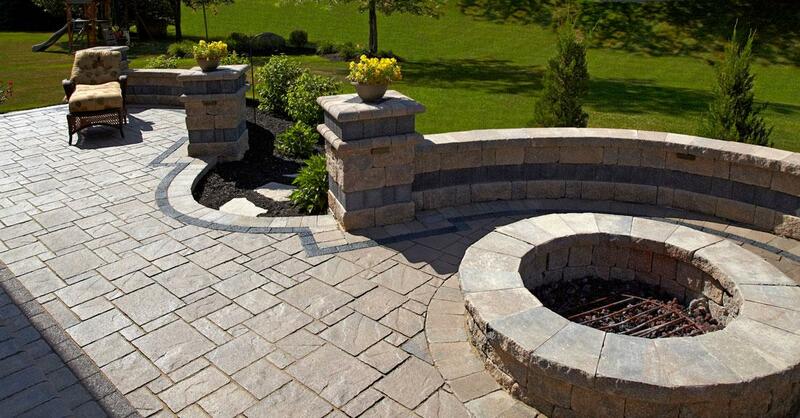 Contact us today to restore and rejuvenate your existing patio or hardscape outdoor living space. 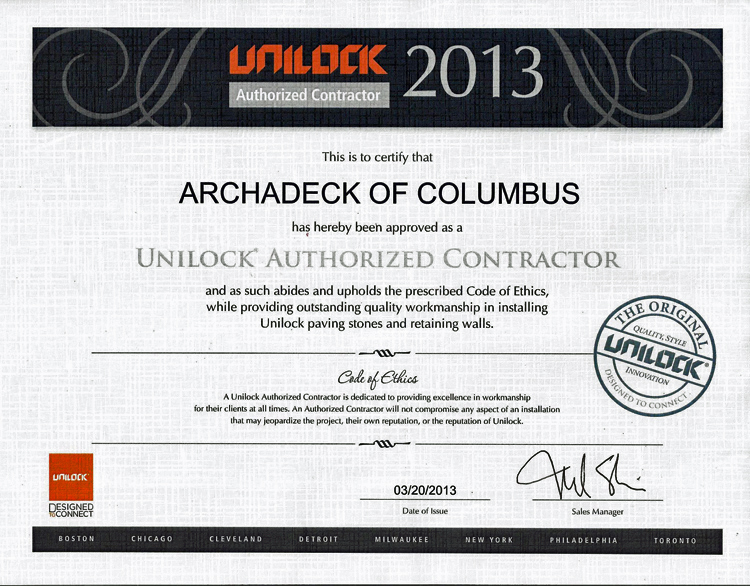 You can reach us at (740) 879-3730 or via email @westcolumbus@archadeck.net. Author archadeckofcolumbusPosted on September 2, 2016 Categories Patio and Hardscape Restoration Service, Patios & hardscapes, Paver PatiosTags Archadeck of Columbus, Columbus hardscape restoration, Columbus OH hardscape designs, Columbus OH hardscape experts, Columbus OH Patio Designs, Columbus OH Paver Patios, Columbus Patio Renewal, Columbus Patio Restoration, Columbus Paver Patio Restoration, Columbus professional patio and hardscape restoration service, Hardscapes in Columbus, Maintaining your Columbus Patio or HardscapeLeave a comment on Columbus Patio Restoration Service Will Renew Your Hardscape to its Former Glory!